Monaco starlet Bernardo Silva has expressed his desire to play in the Premier League in the future. Silva is rumoured to be a top Manchester United target, as the Red Devils are desperately looking to improve the quality of their squad at the moment, and Mourinho has constantly been looking at some star players to add to the squad. 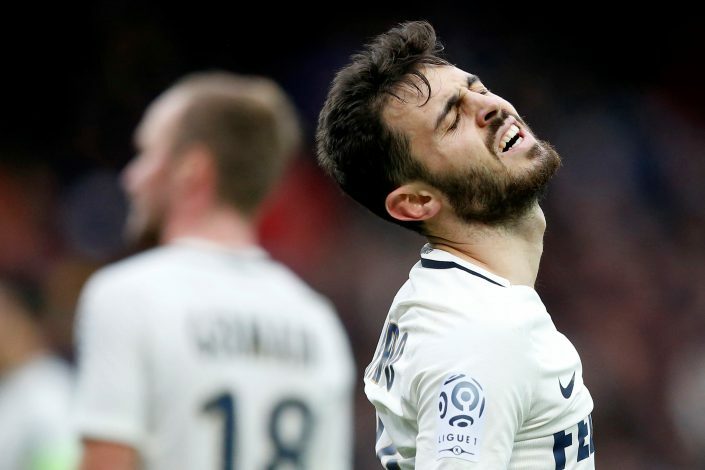 This has seen them linked with some of the biggest names in Europe, and one player that has been on the radar for quite some time now is AS Monaco’s Bernardo Silva. The 22-year old Portuguese midfielder has bagged 9 goals and 10 assists in all competitions for the French side this season. He is therefore being wanted by a host of European clubs, including the likes of Chelsea and Real Madrid for a move this summer. According to reports, Silva could cost close to £68.4m ($85.2m), despite having joined the French club for €15.75m (£13.1m) back in 2015, after a season-long loan at the club. However, earlier today, he spoke about the interests from some of the biggest clubs in Europe, and revealed that it is a dream of his to play in Spain or England one day. “For now, I’m feeling very well here in Monaco,” Silva said in an interview with CNN. Silva further went on to say, however, that Monaco are an important club to him as they gave him a chance to play alongside the best players in the world, competing at the highest level. “To play in the Champions League and the French league, it was a huge step,” he added. “I was a little shocked in the beginning because I started to play with (Dimitar) Berbatov, with some amazing players, João Moutinho, Ricardo Carvalho, Anthony Martial, but it was great. It was my first big experience on a big level, so I’ll be forever grateful to Monaco.